Beef Stew | Cooking With Mr. C.
1. Put flour in a bowl. Put beef cubes in flour and tap off the excess flour. 2. In a large skillet, put 3 tbs. olive oil. Brown beef on all sides for about 7-8 minutes and remove. Beef should be just about cooked. Cover and keep warm. 3. In a pot of boiling water, boil string beans and carrots for 5 minutes and then drain well. 4. In a large pot, add 4 tbs. olive oil. Brown onion. Add string beans, carrots and peas. Stir quickly. Add beef and sprinkle with sea salt and pepper. 5. Add tomato paste and stir well. 6. Add beef stock and red wine. 7. Bring to a boil. Once it is boiling, reduce to a medium simmer and cover pot. 8. Let cook for 30 minutes. Stir occasionally. 9. For the final 30 minutes, leave cover off, put on a low simmer and stir occasionally. 10. 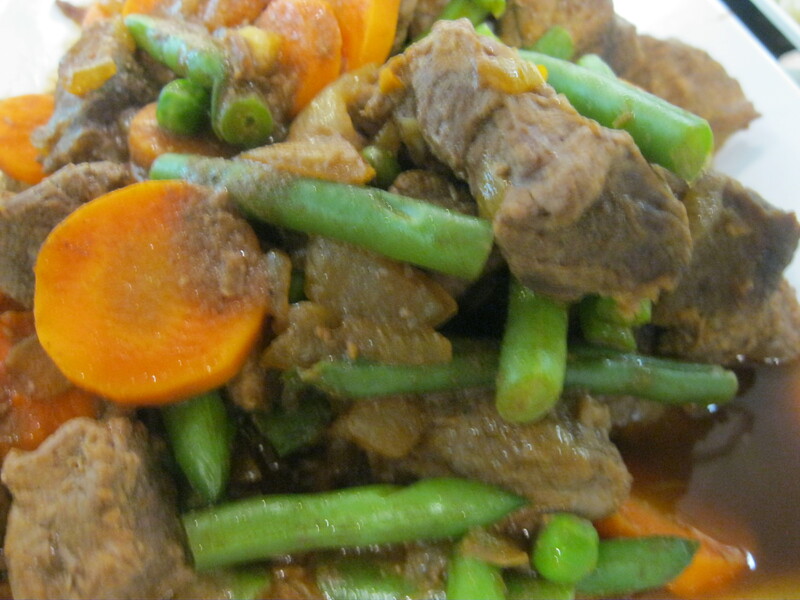 Vegetables and beef should be tender before serving. I need a good stew recipe.